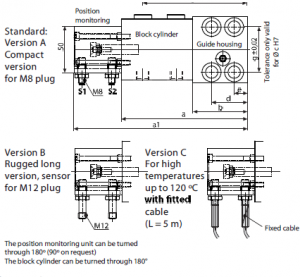 position monitoring available in 3 versions: compact, long and high temperature. Wedge clamp with adjustable electronic position monitoring, rear side fastening. Inductive proximity switches installed in the flanged housing. 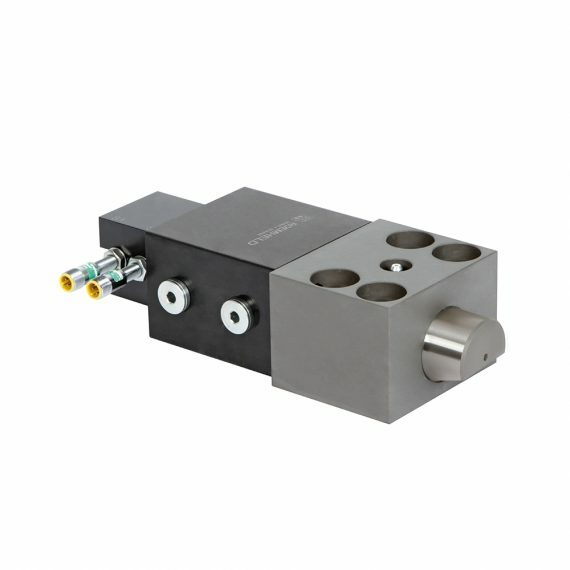 The proximity switches are activated by a trip cam which is connected to the piston rod. The switches can be displaced in a slot. The housing can be turned through 180 degrees.